The surprising Atlanta Braves surged behind their bats through the first week of the season. Now, they're getting some nice starting pitching, too. 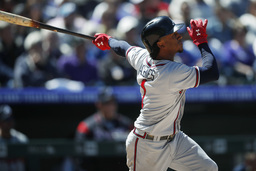 Sean Newcomb pitched into the seventh inning, Nick Markakis and Dansby Swanson hit back-to-back homers and the Braves beat the Colorado Rockies 4-0 on Sunday. "Every day it's someone new that's contributing," Newcomb said. It was his turn in Denver. Newcomb (1-1) allowed three hits in the first inning before retiring the next 16 batters to help the Braves take two of three in Colorado's home-opening series. The left-hander followed strong starts from Brandon McCarthy and Anibal Sanchez, tying his career high with nine strikeouts while not issuing a walk. "He was locating the fastball and he had a devastating changeup and he mixed in his curveball," Colorado manager Bud Black said. "So, when you're throwing 93, 94 mph, and you come from a high arm slot at 6-foot-5, he's got a great angle. The changeup is coming in there at 85, 86 mph, with some action to it, it's tough to solve. And we just didn't do it today." Newcomb left after allowing consecutive hits to Nolan Arenado and Trevor Story to begin the seventh. Shane Carle, Sam Freeman and Arodys Vizcaino pitched in relief to preserve the shutout. Kyle Freeland (0-2) allowed three runs, stuck out five and walked two in six innings for the Rockies. The Denver native had one out in the sixth before giving up deep balls to Markakis and Swanson that made it 3-0. An inning earlier, Ozzie Albies had an RBI double off Freeland. He then homered off Chris Rusin in the seventh to put Atlanta up 4-0. The Braves have scored 62 runs through their first nine games of the year. Colorado, meanwhile, scored only six runs in the series and was shut out at home for the first time since May 27, 2017, against St. Louis. The Rockies had a runner in scoring position in the eighth, but third baseman Charlie Culberson helped thwart the threat with a catch that took him over the rolled-up tarp and into the stands. "I'm not worried about it," second baseman DJ LeMahieu said. "We'll get on a roll." Colorado fill-in centerfielder Mike Tauchman did his best to help out Freeland in the sixth, jumping into the wall as he tried to pull back Markakis' shot. The crash, however, knocked Tauchman on his back and catapulted his glove over the wall. There was some momentary confusion afterward. "I didn't know what happened," Markakis said. "I didn't know if he caught it or what happened. I looked at the umpire and I saw him signaling, so I knew it was good." The centerfield gate had to be opened to return Tauchman's glove. Albies, who roped a ground-rule double and his third homer of the season, provides more power than his 5-foot-9, 165-pound frame would have one believe. 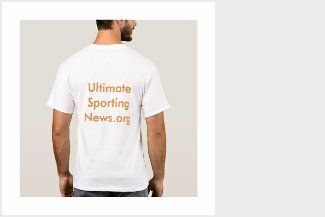 "I would probably say he and (Astros second baseman Jose) Altuve are probably pound-for-pound, might be the two strongest guys in the major leagues," Atlanta manager Brian Snitker said. "He's not tall but he's strong, big." Braves: 3B Johan Camargo (oblique) is expected to continue his rehab assignment through Wednesday and could be back by next weekend's series with the Chicago Cubs. Rockies: OF Charlie Blackmon, who left Saturday's game in the 10th inning, was out of the starting lineup with back stiffness. "Charlie will be fine," Black said. "A day-to-day situation." ... RHP Jeff Hoffman (shoulder) threw a bullpen session Sunday and is expected to pitch for Class A Advanced Lancaster on Tuesday.